Cycling day had the usual mix of rough back roads, stressful whizzy highways and occasional super-smooth cycle paths. 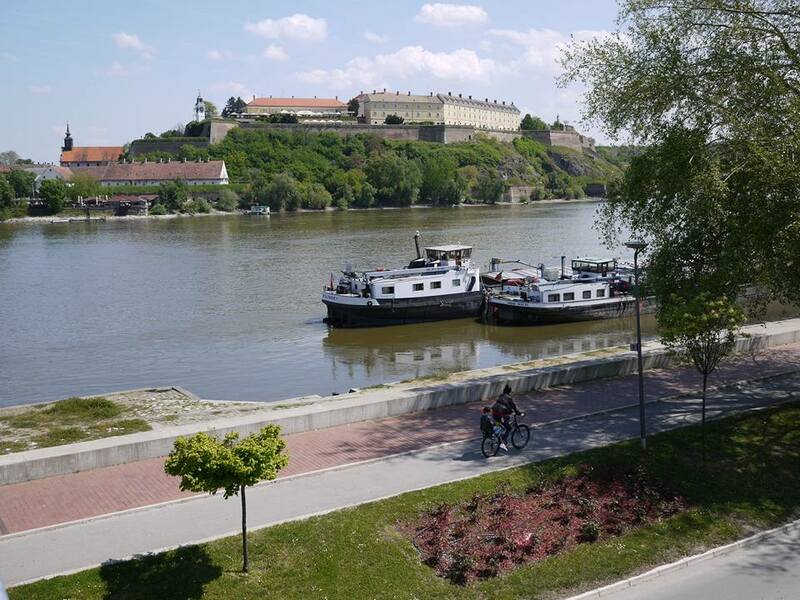 Disappointed to pass quickly through Novi Sad, Serbia’s second city, but at least we stopped for lunch there, looking across the Danube to the fort at Petrovaradin. The bridge here has been destroyed numerous times in wars, right up to 1999, when the allies bombed it (and Novi Sad) in reprisal for Kosovan conflict. After Petrovaradin, a 5.6% climb for 4km, the stiffest of the trip. Of course, I only know the gradient from Strava, naturally it was sign-posted 8%. 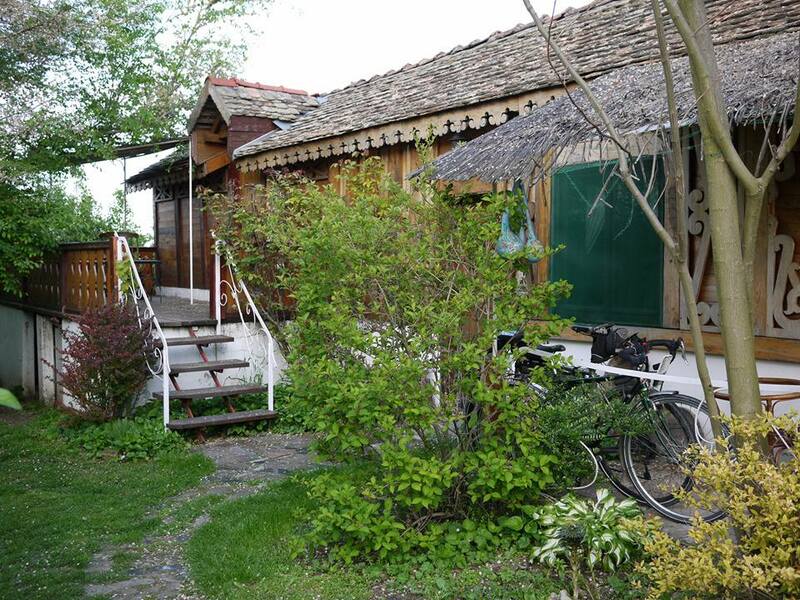 We are staying in a rustic cabin at the bottom of Aleksandar and Dragana’s lovely garden in Surduk. Dragana cooked us risotto. A rare break from booking.com, I found this place via Serbian-only web site and a YouTube video. Check it out, Pension Dunavsko Gnezdo!